Types Of Packaging | CS Packaging, Inc. When choosing product packaging materials, there is more to consider than just what looks good. The reality is, there are all sorts of inspections, regulations, and compliance requirements to consider before you ship your product. Failure to follow these with your packaging can mean money and time wasted, and a bad reputation for your business. We’ve compiled some of the most important considerations for your packaging, including ones that are often forgotten. If you are shipping overseas, for example, familiarize yourself with the regulations. Non-compliance may result in product returns, shipping delays and extra costs for inspections and/or repackaging. This may be a little tricky, and we’d be glad to help you out. Just get in touch with one of our responsive customer service representatives. Local shipping departments (USPS, UPS, etc.) will have information on product packaging material requirements. such as labeling requirements. Each mode of transportation subjects shipments differently, and each mode may have different levels of environmental exposure, physical forces, and re-handling. To reduce damage due to transportation, storage and handling, determine the product’s susceptibility to water, sunlight, temperature, and physical stress (i.e. compression, impact, vibration, surface contact, etc.). Shipped products are often inspected upon delivery for quality conformance and accurate shipping count. For example, when receiving more than one item the recipient may prefer bulk packaging so that he/she can easily open the package for inspection. Freight rates and air parcel, for example, are typically structured on a weight/measure basis. Dense cargo is billed according to the actual shipment weight, whereas lighter cargo is billed according to the volume displaced. Reducing the packaging profile can reduce costs. No matter how scanty the supply chain, most products will be stored and/or handled multiple times. To increase viability, incorporate bar-codes, radio frequency ID tags, and/or GPS technology in the product’s packaging. Reusable packaging can lower total costs and improve sustainability. It can also be an added value for customers who are environmentally conscious, and will thus be more inclined to buy from your brand. EPR reforms make manufacturers responsible for a product’s entire life cycle. 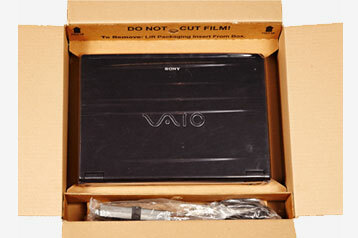 Some companies include return packaging and/or shipping with their products, so consumers can easily return items. Keeping all of the aforementioned rules, regulations, and guidelines straight can be a lot of work. 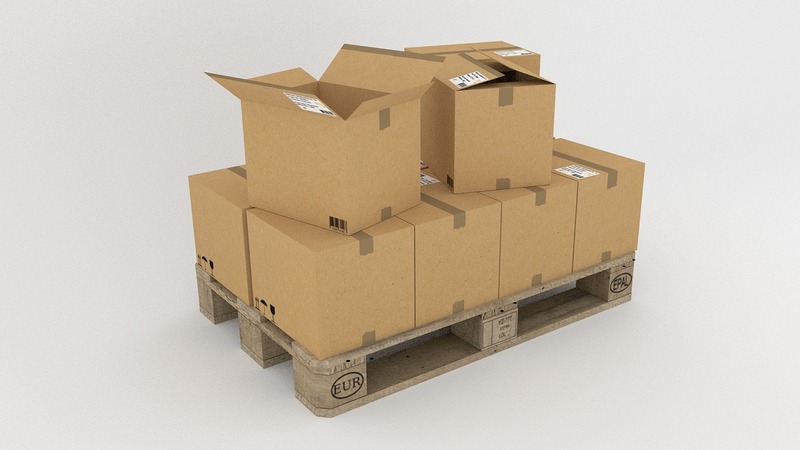 Partnering with a shipping supply vendor who can help explain all of the compliance considerations and craft your product packaging materials and shipping supplies perfectly to align with them can be key in saving your business time and money. We’re happy to help walk you through any questions you might have. Image courtesy of ODM Group. In business, the “elevator pitch” is crucial – a story, anecdote, or explanation of a product that can be delivered in the time it takes an elevator to reach its destination. In the B2C sphere, your packaging and presentation become that elevator pitch — and the harder they are to see, enjoy, or understand, the harder you’ll have to work to sell your products. You need to design and budget for custom floor and counter top displays that not only capture the eye, but the imagination of your customers as well. So how can you make that happen? 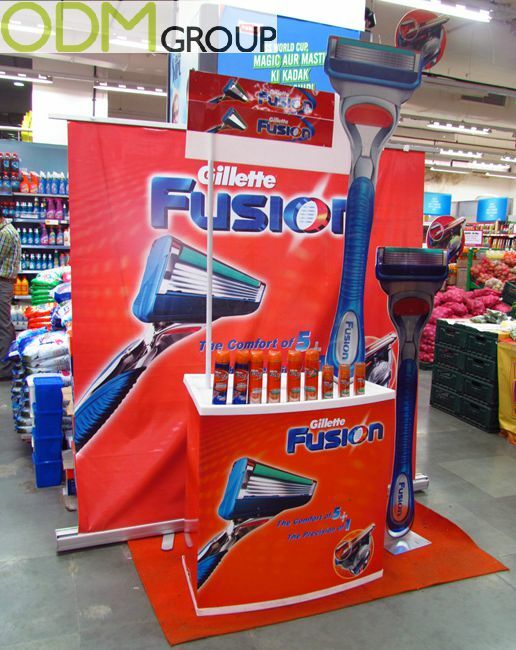 If your goal is for your in-store displays to capture the attention of customers, they need to be unique; customizing your displays is one of the best ways to accomplish this. But, the world of customization inherently means there are endless options, and it can be complicated deciding what and how to customize in the way that’s best for your business. We’ve put together some areas to focus on for custom that should give a good starting point for standing out. If you were asked which soda had a red and white label, and which had a red and blue one, chances are you’d know them instantly as Coca-Cola® and Pepsi®, respectively. Color is familiar and appeals to consumers of all ages. Color can also easily convey your brand identity and company message. Want to convey natural, wholesome, and eco-friendly? Go for a vibrant shade of green. Want people to feel happy or cheerful about your product? Vibrant orange or lemon yellow will do the trick. It’s also one of the easiest ways to get “bang for your budget buck” when it comes to planning, creating, and placing displays – a brightly-colored display works as a billboard that summons attention while holding your product. While you won’t be able to Frankenstein some jumper cables to your custom floor and countertop displays, you can certainly equip them with a battery pack or plug. Moving components, lights, sound, music, and light sensor triggers ensure that your display places itself actively in customer perception, rather than waiting passively to be noticed. Some stores tend to be naturally quiet, making sound a particularly useful tactic. Some enterprising companies are even fitting their displays with holding frames for tablet computers, which display a commercial or explainer video whenever a customer walks by. Designing modular displays that can be quickly and easily set up directly from a shipping box means that your products will always be shown in the best light. The more complex and complicated a display is, the greater the risk of a component breaking or becoming lost in transit or storage. Looks are only one facet of a great custom display – make sure it can stay looking attractive and professional, even if a few customers decide to invade its personal space, or a curious passing child gets a little grabby. Your display tells your story when you can’t be there to do it in person – make sure it has the voice you want to represent your company! Want some help figuring out the ideal custom floor or counter top display? We can help!